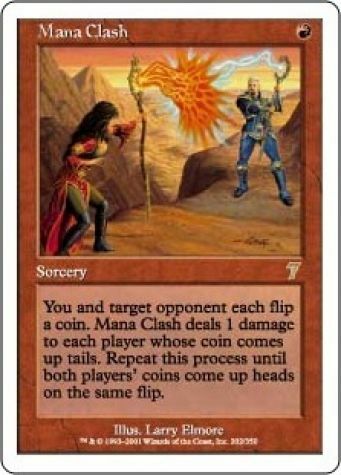 You and target opponent each flip a coin. 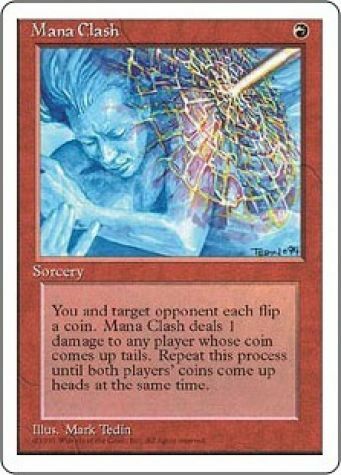 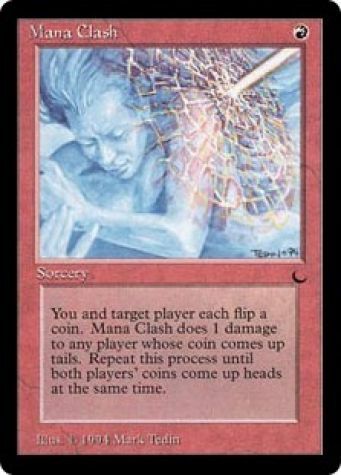 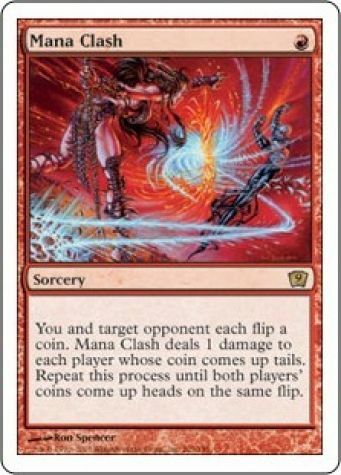 Mana Clash deals 1 damage to each player whose coin comes up tails. 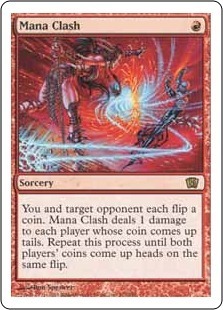 Repeat this process until both players' coins come up heads on the same flip.